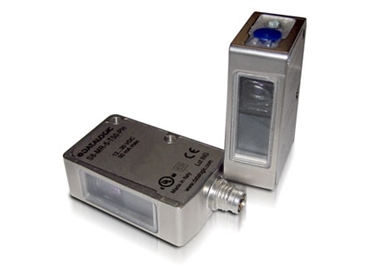 Datalogic Automation introduces their new range of sensors designed for contrast and transparent object detection in a stainless steel housing for the first time. The S8 series Inox sensors are designed for frequent wash downs with a corrosion-resistant IP69K rated AISI316L stainless steel case. The contrast version of the sensors is the ideal solution to discriminate fine contrast differences known as print registration marks at very high speeds. The clear object polarized retro sensors have been designed to resist typical detection difficulties associated with accurately detecting the position of extremely transparent objects typically seen in the food and beverage and pharmaceutical industries. Datalogic Automation’s ‘One for All’ concept ensures a single shape featuring standard fixing holes with models suitable for solving virtually any application. This allows both the OEMs and end users to reduce and standardise the components used, giving a real advantage in the development of their automated machines and production lines.